Brig. 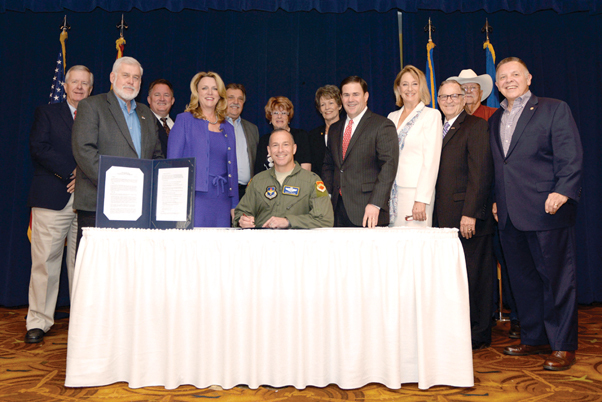 Gen. Scott Pleus, 56th Fighter Wing commander, signs the memorandum of understanding identifying the structure of the Luke Community Partnership program during the Luke West Valley Council meeting June 16 at Luke AFB. 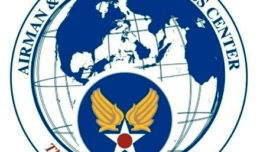 The Luke Community Partnership program is part of the Air Force’s Public-Public, Public-Private initiative, known as P4, which began in 2012. This partnership provides an ongoing framework and offers a means to effectively combine and use capabilities to enhance mission effectiveness and reduce costs. Tech. Sgt. 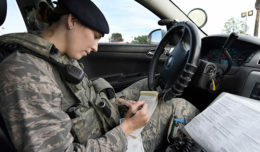 Luther Mitchell Jr.
Senior Airman Logan Avery, 56th Civil Engineer Squadron Explosive Ordnance Disposal team leader, renders safe a simulated homemade explosive June 24 at Luke Air Force Base. 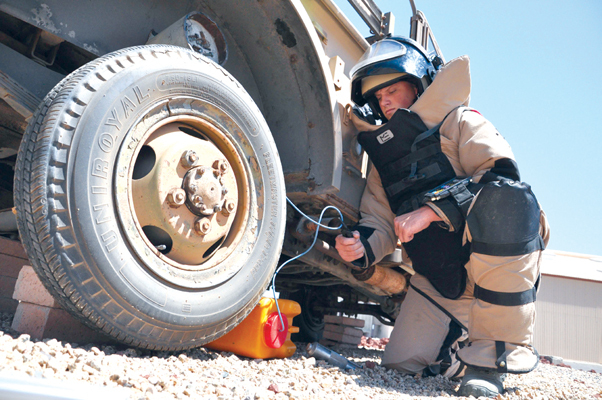 Avery is wearing an EOD 9 bomb suit and helmet for protection against directional fragments. Staff Sgt. 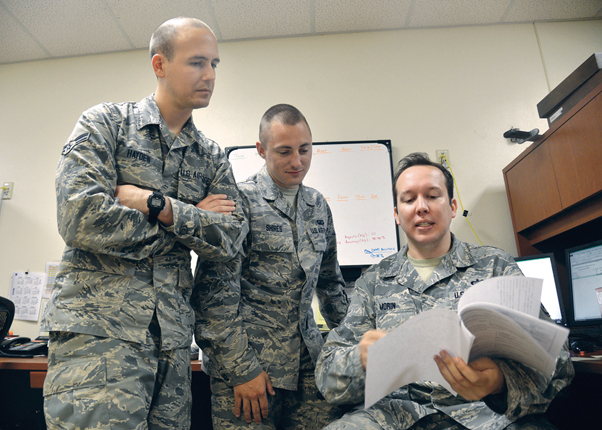 John Morin, 56th Comptroller Squadron customer service technician, shows Senior Airman Corey Shires and Airman 1st Class Alexander Hayden the process of filing travel vouchers June 13 at Luke Air Force Base. The 56th CPTS includes financial services, financial analysis, nonappropriated fund oversight, quality assurance and a command section. The unit’s overriding goals are customer service and fiscal execution. For more photos see printed or digital editorial.